Lou, Eugenie and I want to wish all our friends a Happy, safe Halloween. While you humans seems to take all the faux gore and mayhem in stride (some even relish the chance to be naughty for a night) remember that your 4-legged pals can see the commotion as weird and intimidating. So make sure we’re well secured when all those goblins and ghouls start ringing the bell, demanding you pay up or else. The last thing either of us wants is for you to spend a spooky night searching the neighborhood for your missing friend. Some news stories that caught our eye. In the LA Times on Friday, October 25, there was a short piece about the Project Homeless Connect fair in downtown L.A, where the National Museum of Animals and Society, and other groups gave out free dogfood, toys and vaccinations to those without permanent shelter. Also in the L.A. times on Saturday, October 26, a terrific column from Sandy Banks urging animal lovers to consider the plight of people forced to surrender their pets. 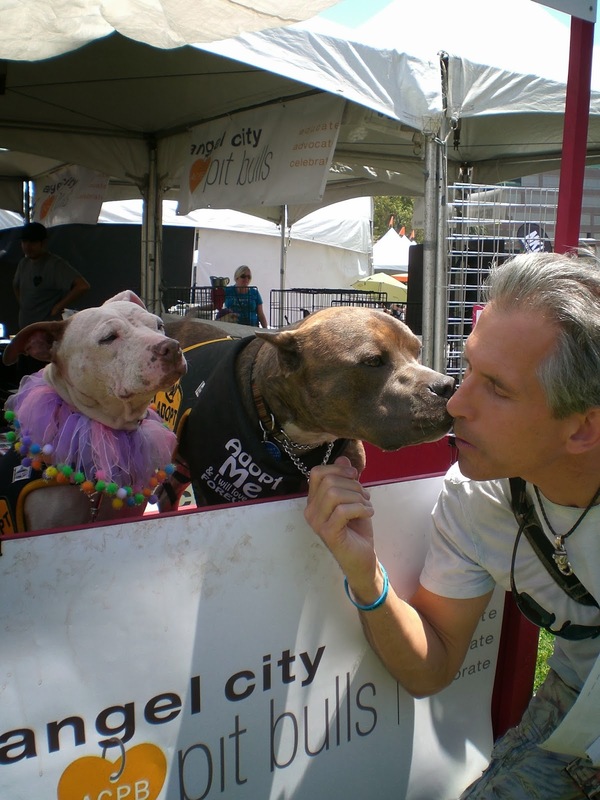 Quoted in the story is Lori Weiss, the founder and leader of Downtown Dog Rescue, whose groups runs an intervention program to help keep dogs and cats from the shelters. She urges understanding and compassion for people sometimes forced to make a painful choice between keeping a pet and sleeping on the street. Read the article. For those of you thinking about getting a rescue pet, NO KILL LA (NKLA) will be sponsoring their Fall mega-adoption on November 9 & 10, from 10am – 4pm, at the La Brea Tarpits, 5801 Wilshire Blvd., LA, CA 90036. With over 1,000 dogs and cats from 50 rescue groups, you’re sure to find the friend of your dreams. 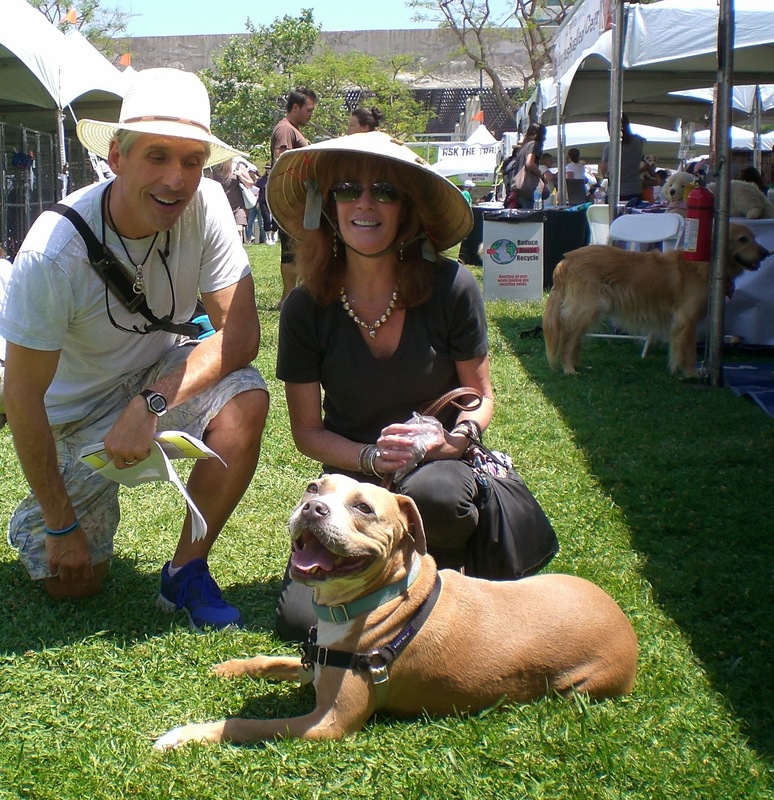 At the May 2013 event, 400+ animals found homes. How cool is that! So spread the word and help set a new record saving lives. Finally…our Halloween/Dia De Los Peros (Day of the Dogs) GIMME SHELTER GIVEAWAY was a huge success. During the 2-day promo, over 1,500 people downloaded the book. Now all we need is for them to write rave reviews and tell everyone they know. In a simultaneous giveaway on Goodreads book lovers’ website (owned as of late by Amazon), nearly 400 people entered to win 5 signed copies of Gimme Shelter. Our thanks to everyone who took the time to join us for either event.